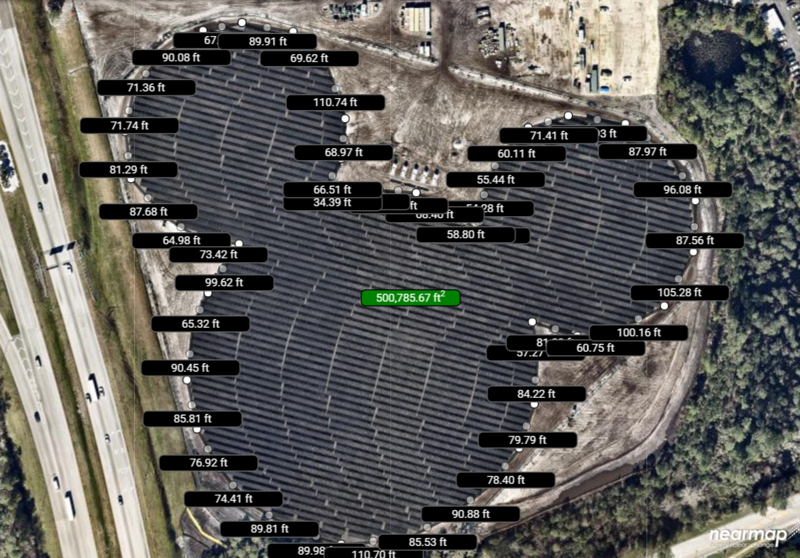 The solar farm near Epcot has taken a very familiar shape, as seen in the latest imagery from Nearmap. The road to the left of the solar panels is World Drive and guests entering Epcot from the World Drive ramp will be able to see the panels. Unfortunately, the view from the ground won’t allow for viewing of this Hidden Mickey. At nearly 11.5 acres, it’s the largest Hidden Mickey on property! 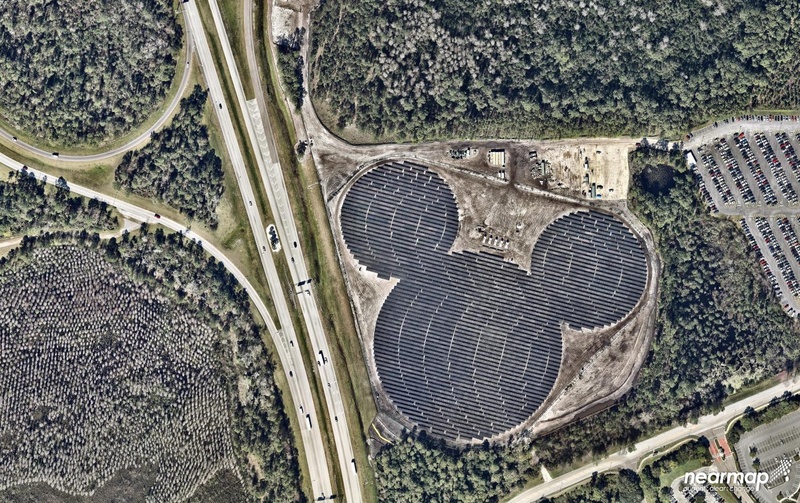 The solar farm is part of a land lease deal between Disney and Duke Energy.